This entry was posted in News on August 23, 2009 by Michael Happy. Charles Hollander notes that at Cornell, Pynchon also took a course with M. H. Abrams. As Abrams reviewed Frye’s “Anatomy,” it is possible that Pynchon picked up the idea of the genre from that class. Hollander reported the course with Abrams in “Pynchon Notes,” and suggested the connection with Menippean Satire at a recent conference. 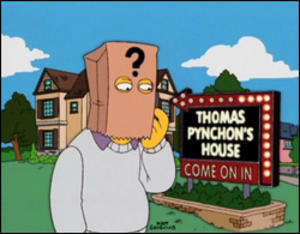 He doesn’t give the year in which Pynchon took the course, but says Pynchon graduated from Cornell in 1959. The term Menippean satire does not occur in Pynchon’s writings. But as Hollander’s note shows, Pynchon wrote a paper (which Abrams later quoted to students) comparing Voltaire’s “Candide” with Samuel Johnson’s “Rasselas.” Both of those books are (or can be seen as, if you’re fussy) Menippean satire, and that might have led Abrams to talk about the genre. “Abrams Remembers Pynchon.” Pynchon Notes 36-39 (1995-1996): 179-80. This entry was posted in Satire on August 23, 2009 by Michael Happy. Thanks to the traffic at the blog over the past six days, Google at last has a good handle on us. Googling “educated imagination blog” is now sufficient to bring us up as the first hit. You’ll notice that we’ve added a new “widget” in our menu column. There is now a drop-down “Category” menu. Every entry we post is assigned a category. For example, all of the “Today in the Frye Diaries” entries posted so far are categorized “Frye Diaries, August.” When you hit the “Frye Diaries, August” link wherever it occurs, you’ll be presented with all other entries in that category. Other categories at the moment include “Metaphor,” “News,” “Guest Bloggers,” and a few others. Needless to say, the number of categories will only continue to expand as our content increases. We are also slowly but surely lining up commitments from prospective guest bloggers. Let’s be clear on what this means: it only requires that you send us text, in whatever form you care to send it, and we will post it. At no point will you be required to interact with the blog yourself. You are providing content to us via email, we are putting it up on the blog under your name. That’s it. We hope that encourages a lot of you to jot down some thoughts and send them to us so that we can post them for others to read. Finally, you’ll see that we’re embedding links to other sites relating to people, places and book titles. When it comes to books, we try to link to sites where the chapter or section in question can be found online for quick confirmation. This includes works by Frye, whose Collected Works seem to be extensively excerpted in Google Books. If you have access to better links than we are posting, please forward them to us. Stayed in bed all day: even so not a good night. 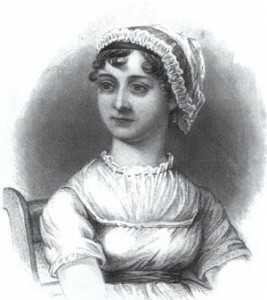 Read Jane Austen’s Love and Friendship, a skit which proves to me, as none of her novels prove, that she is an important & not merely an intelligent & amusing writer. Jane is a blind spot to me: I enjoy reading her for relaxation and I admire her skill and ingenuity, but I never feel much sense of cultural infusion, of the kind I require from a great writer. This boils down to the fact that I have nothing to say or discover about her, & and so take her merits on faith… I can’t forgive Jane for the vulgarity and Philistinism of Mansfield Park: if she hadn’t written that absurd book I could enjoy her without reservations. But her explicit preference for her dim-witted Fanny to her intelligent and sensible Mary Crawford means that in the long run she accepted her county families, and had no positive basis for her satire of Lady Catherine or Collins or Sir whatsisname [Walter Eliot] in Persuasion. In the long run she stands for the “dismal and illiberal,” for the exclusion of the free air of culture and intelligence. Mansfield Park gives her away–well, it gives the whole 19th c. away. … He said he liked my book [Fearful Symmetry], though, again very typically of Rodney, he prefaced this by saying he’d found some errors in it, & almost wrote me about them. That leaves me a bit up in the air, as he’s forgotten what they were: however, Rodney’s criticized my stuff before now, & what he calls error I don’t invariably recognize as such. This entry was posted in Frye Diaries August on August 23, 2009 by Michael Happy.